When i surf the internet, finding people are asking the same question for how to recover a MOV file from SD card. Some asked "how do i recover a MOV file? ", some asked "how can i recover deleted MOV videos from my SD card for free", some said "how can i recover files from a corrupted SD card? ", and even some told "how to recover MOV files from formatted SD card". No matter how you lost the MOV files from SD card, you can try the best way to recover MOV files from SD card in Windows PC or Mac OS X. First, let me explain in what scenario it is available to recover the MOV files with the following way. 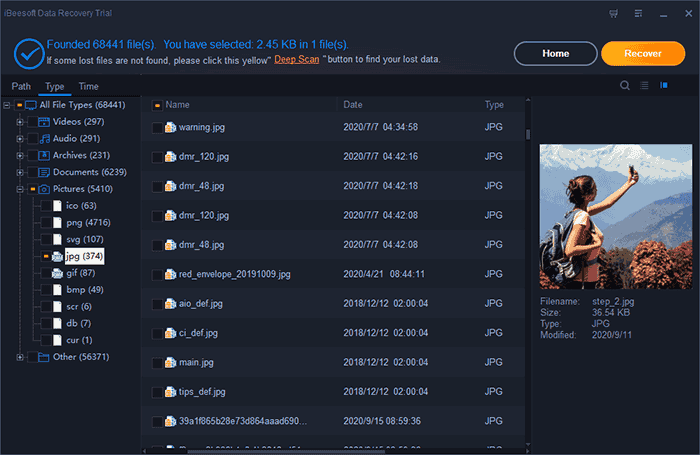 It means no matter for what reason you’ve lost the MOV files in SD card, you can try the mentioned way to recover deleted MOV files from SD card, at least give it a try! 1. MOV files deleted from SD card intentionally or unintentionally. 2. All files, including the MOV videos, lost due to the SD card formatting. 3. MOV files lost while doing the transfer between the SD card and computer. 4. SD card corrupted and everything just gone away without a warning. 5. The MOV files are deleted directly by the security software due to virus-attack or other causes. Second, let’s do the prep work for recovering the MOV files from SD card. Don't let the data be overwritten, resulting in failed to restore SD card MOV file. 1. Stop using the SD card right away after you find the MOV files are lost or deleted. It’s better to unplug it from the SD e-reader from computer or remove it from the device on which it is connected. 3. Download and install iBeesoft Data Recovery. It is one of the best software to recover MOV files from corrupted SD card, formatted SD card, or normal SD card. Perform MOV recovery as other file recover from SD card, computer and other external hard drives. Easy for individuals to use with its simple built-in undelete or unformat SD card wizard. Step 1. Download and install the software to recover deleted or lost MOV files from SD Card. It has versions for Windows PC and Mac. Choose the version that’s right for your computer. Feel free to install it. It is virus free and never collect any of your data. 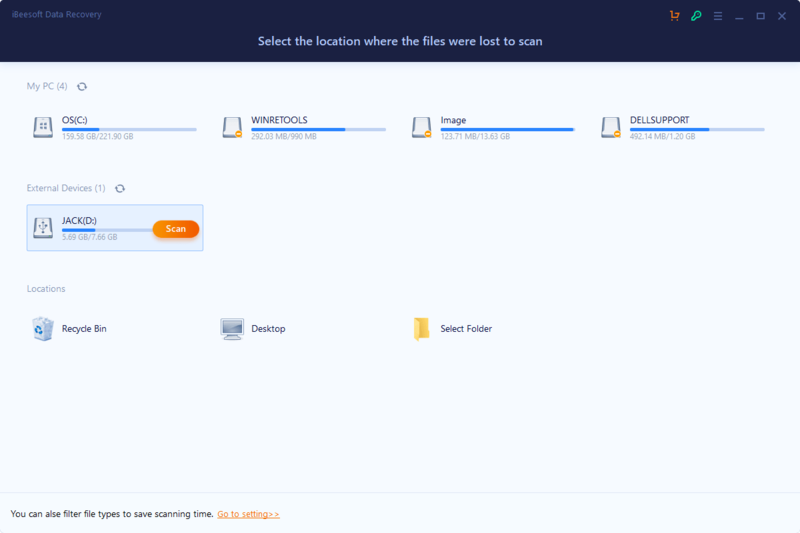 It only scans for the specified file types for you. Step 2. Connect your SD card with your computer. You can try a e-card reader or connect the device on which your SD card is to the computer, making sure the computer detect your SD card. Otherwise, you’ll fail to recover the MOV files from SD card. Step 3. Launch the MOV video recovery software on your computer. From the start-up window, select the file type "Videos" as the one you want to recover and uncheck the other types of files. By doing this, it will saves you time for the scanning process. 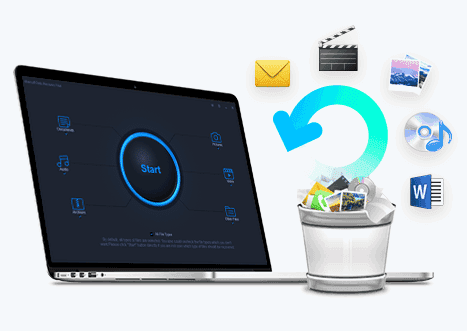 Click "Start" to recover deleted files from SD card on Mac or Windows. Step 4. In the next window, you need to select the partition which represents as the SD card to scan. Select it and click "Scan". Step 5. It might take a while if you have multiple files in the SD card to scan. When it begins, you can see videos are scanned and found for you. During the scanning process, you can stop the process as you preferred if you see the target MOV files are found. Since the file types you’ve selected to scan is “videos”, in this case, other videos are found as well. In the result window, you can filter out the MOV files by select the extension on the left side of the result window. Select the right one to preview or save by clicking the "Recover" button.